Automated gate systems aren’t just for government or military facilities (though they do work well for these purposes). 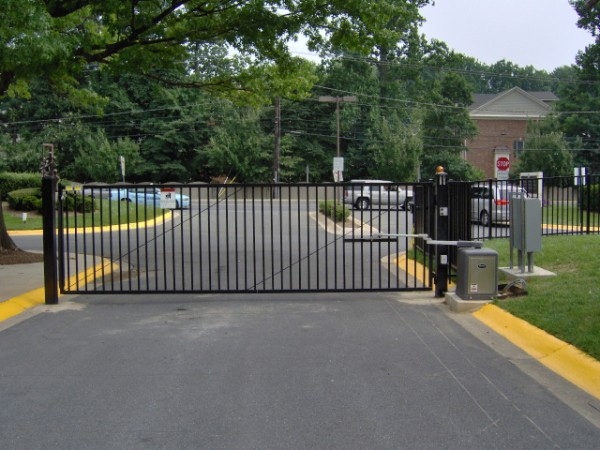 Here are some examples of ways to utilize an automated gate system. Automated gates allow members-only access to communities and apartment complexes. This is good for both security purposes and for aesthetic ones. Less foot and vehicular traffic in a community keeps things peaceful and calm. Large corporate office complexes are another great place for automated gate systems. Automated gates with swipe card access allow employees to enter the facility while keeping out security threats. In combination with a perimeter fence, automated gates prevent trespassers from accessing industrial grounds and stealing valuable industrial equipment or raw materials. High security government complexes can benefit from automated gate systems with barrier gate lifts, metal detection loops, crash-rated bollards, live attendants, and any number of security features that will preserve the integrity of the facility grounds. This entry was posted on Friday, December 27th, 2013 at 5:46 pm. Both comments and pings are currently closed.